For many races, it is highly unlikely to send their females into battle. 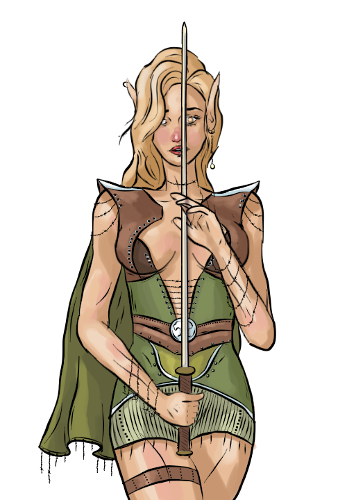 For certain elvish populations however, females called 'bloodmaiden' are sent into battle as a rearguard whenever the elvish army suffered huge losses. Only equipped with a long skirt and a sharp sword, the bloodmaidens then blindly search for the ones that harmed their kin, finding them and turning the battlefield into a pool of blood. Last updated on Sat Apr 13 00:54:31 2019.